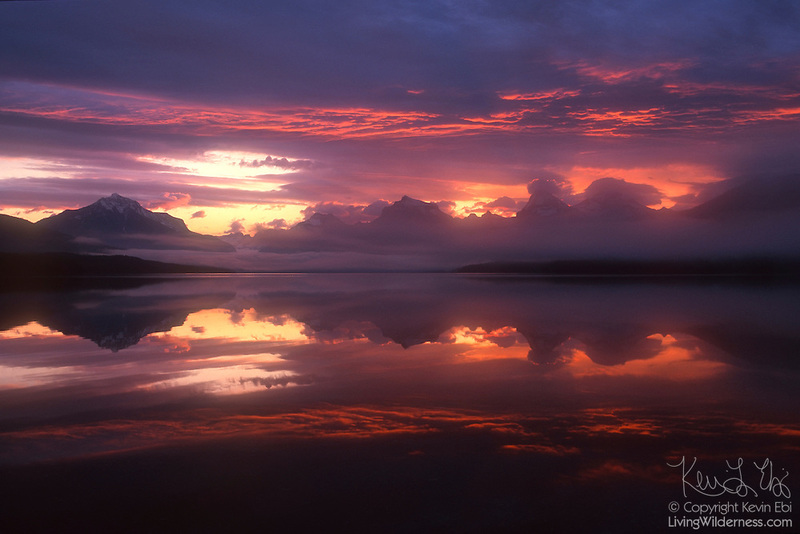 The sunrise colors the storm clouds passing over the mountains along Lake McDonald in Glacier National Park, Montana. Lake McDonald is the largest lake in Glacier National Park, approximately 10 miles (16 km) long, and over a mile (1.6 km) wide. Filling a valley that was carved by glaciers, the lake is 472 feet (130 m) deep.